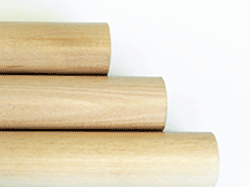 We supply Low Cost Birch dowels that have been kiln dried, clear, smooth and accurately sized. 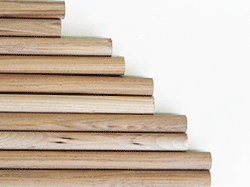 Browse other bundles of hardwood dowels. 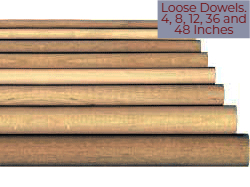 Request a Quote by Length up to 144" (12 feet) and Diameter up to 4 inches. 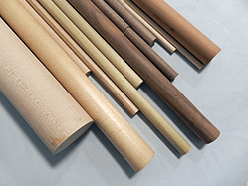 Our Birch Dowels (as with nearly all birch dowels available in North America) are imported from Asia. 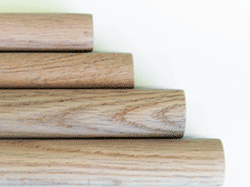 We only source from quality mills that have proven consistent in terms of quality, accuracy and sustainability. 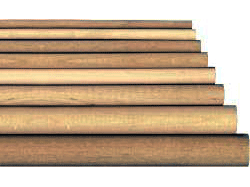 For USA sourced and made materials, check out Poplar, or Maple dowels, which have similar characteristics to Birch. 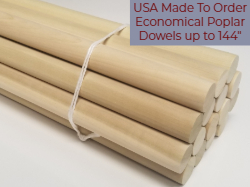 2) If you do not find the dowel size you need here, contact us - we are happy to quote on your requirements of any quantity or custom sized dowel rods. 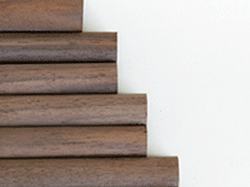 4) Need longer lengths? 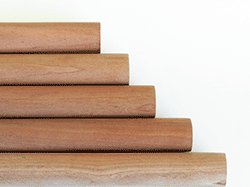 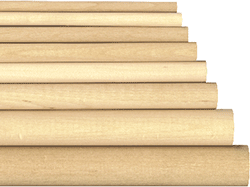 We recommend Poplar Dowels as Birch is generally not available in lengths longer than 48". 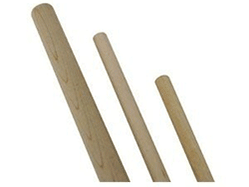 Birch Dowel Rods - 36"